I had the most incredible time at Wild Hearts wedding fair meeting so many amazing couples and vendors at Winehouse in Queenstown. I have to write a HUGE thank you to the beautiful human behind my stand Stacey from Colour Me Happy! 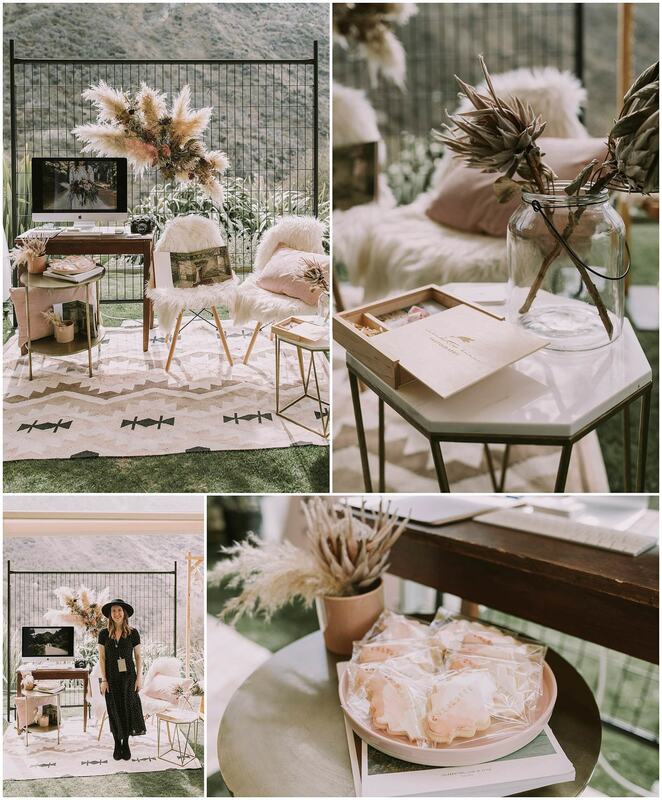 She completely designed my stand with beautiful mood boards based on my editing style and went above and beyond helping me in the lead up, answering my questions, keeping me calm when things didn’t work out and keeping to a very tight budget! I can’t thank her enough and wish I had her around for our wedding because everything is done with a smile and positive attitude! Her work is so so incredible check out her new website HERE. Sam from Wild Hearts for always believing in me even when I don’t believe in myself and encouraging my photography dreams. Gypsy from The Vase Flora & Foliage for my beautiful dried florals and always supporting me and my little business. Brittney from White Rabbit Cakes NZ for the beautiful personalised cookies with my name on them and handpainted to compliment my stand- she even dropped them at my house! Sophie from Major and Minor for loaning me the lovely side tables. Sophie is so kind and Wanaka based so check out her prop range! Pukka signs for my lovely perspex sign and going above and beyond to get it done in a tight deadline. Jackie and Libby from Momento Pro for my amazing wedding albums and supporting me. Bex from Chaos & Harmony for getting my new shoes to me so I could wear them at the fair! Pure Hair Studio for curling my hair on the day! Everyone else who supports me… clients, hubby, Audrey, and my parents as well as the photographers who i’ve become close too thank you every comment and kind word doesn’t go unnoticed! The two Canon New Zealand cameras are my dad and grandads old film camera’s so super special to me since we shoot Canon still now!